As the Vice President for Colonization and Membership I consistently receive e-mails, text messages, and phone calls from brothers throughout the country. You would probably be surprised at how often I am asked the same question regarding a membership status, or a membership education program, or even what the disciplinary process for individual brothers may look like. These are questions that I welcome! How are we, as a brotherhood, going to advance the work that we do if we do not fully understand the policies and procedures that our Fraternity has in place? In this edition of The Podium I have put together a list of frequently asked questions. My hope is that these questions will help brothers throughout the Fraternity gain an understanding of some of the most commonly asked questions, and even some of the more frequent misunderstandings. Can we require our membership candidates to wear their prospective member pin at all times? This is a very common question that I am asked, or that I address when I am reviewing membership education programs. The easiest way to answer this is to look at our Guide to Membership. Inside the guide, and specifically under Fraternity Jewelry and Symbols, you will find the answer that you are looking for. The easiest answer to this is – no, you may not require your membership candidates to wear their prospective membership pin at all times. It should be worn on formal occasions only. Any exception for occasions should be in line with formal occasions, major chapter events, or rituals. As always if there are any questions feel free to ask a member of the national leadership. Our university band program allows students from neighboring community colleges to participate in marching band. Are those students eligible for membership in Kappa Kappa Psi? Individuals that are enrolled community college students, but are participating in a four year institution’s band program are not eligible for membership with Kappa Kappa Psi. When those students are taking band, they are still only getting credit for the community college. They are, for all purposes, considered a community college student – not an enrolled student at the four year institution. 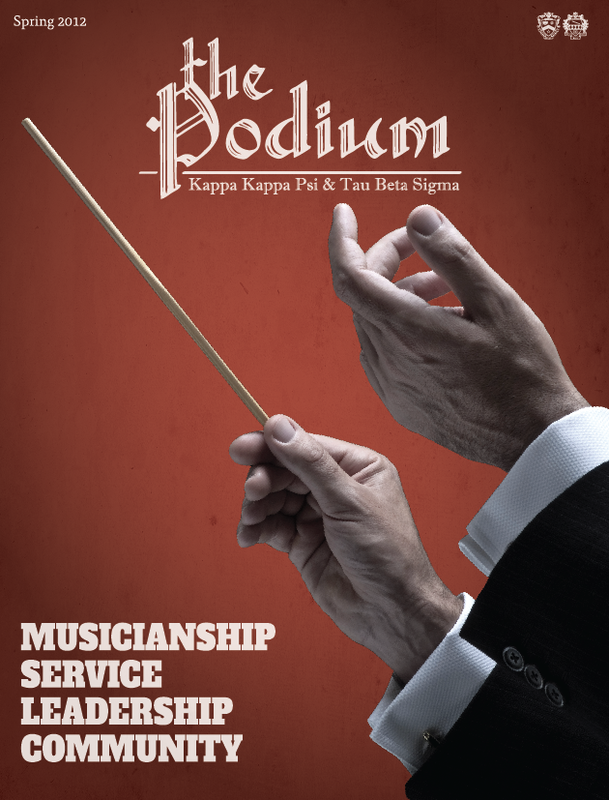 Kappa Kappa Psi requires that students are enrolled students at the university where the band program is that they serve. How can I become a conditional member of my chapter? First, let’s look at the primary REASON that one would need conditional status. Conditional status is solely reserved for active or associate members that have an undue hardship that limits them from meeting the requirements of active or associate membership. Conditional membership is not for brothers that no longer want to meet the requirements of the chapter. There must be that “undue hardship” that is met to be approved for conditional status. Also, the conditional status must be approved. Essentially, conditional membership must be approved by a majority vote of the chapter and approved by the Sponsor/Director of Bands. According the national constitution, that conditional status is valid for one year. Any extensions of conditional status must be approved again through an additional request. When I left/completed my studies with my university, I was listed as inactive. How do I get alumni status? For this question we, once again, look to our national constitution (6.514). We find that Due to the policy established by the national constitution, you must have been an active, associate, or conditional member of the fraternity when you graduated or left the university. If you are now interested in alumni status, you must complete an Inactive Reinstatement Application. You can do this through the Online Membership and Reporting System. That application, and its necessary fee, is submitted to your chapter for approval, and then forwarded to the Sponsor/Director of Bands for approval. In the event that your chapter is no longer an active chapter, the request is still submitted through the OMRS, but is reviewed by the National Council for approval. In an organization such as Kappa Kappa Psi, it is possible to not know each and every policy, procedure, or even history. If you have a question about something within the Fraternity, I encourage you to reach out to your district officers, district governors, and national leadership. We are all hear to help you have the most successful experience that we can. I look forward to hearing from more Brothers throughout this school year. AEA. The Spring 2019 edition of The Podium is NOW AVAILABLE ONLINE!